After some thought and market research, we have revised the way we price for our portrait sessions. Our new portrait pricing structure is based on the number of outfits and styles you want from your shoot. This can be decided in advance and can usually be added to on the day, if required. The three images above give an idea of the variety of shots available from a single shoot. The client here is wearing just two different outfits, but the images have different backgrounds and lighting, and therefore achieve notably different looks. However, the same variation in poses could be achieved within just one ‘look’. Previously we had based our pricing structure purely on the time we spent with you on the shoot. The problem with that approach is that if we get the perfect shot and achieve what you are looking for in just a few minutes, we then feel we have to stay for the remainder of the time we allowed for the shoot, which could feel like we are wasting both our time and yours. We have listened to feedback and discovered that what most people want from their portrait shoot is a particular look. They may have a new outfit or a smart uniform, or they want both formal and casual looks. They also have an idea of what style of shoot they want – for instance, High Key, Photo Noir, Environmental Portrait, or Backlit. The style of dress and the style of the shooting setup dictate the final look of the image. 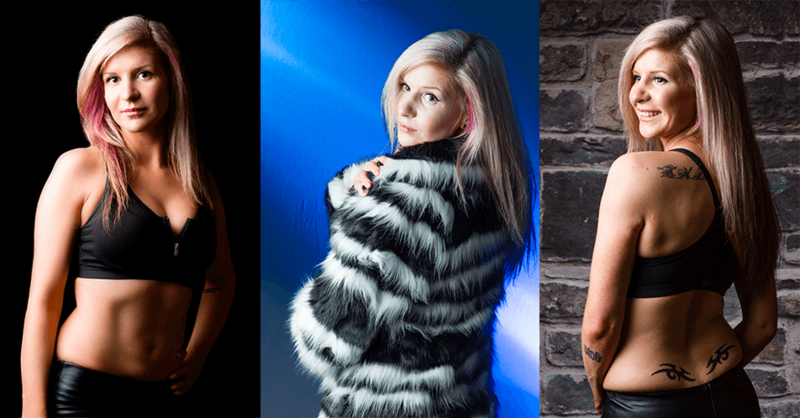 We can of course still take on portfolio shoots for models, actors, hairdressers, make-up artists, etc, and will be happy to discuss a personalised pricing package for these types of commissioned work. See our new prices on the Portraiture Page.